Jews settled in Stropkov, in the Slovak Republic, around 1640. 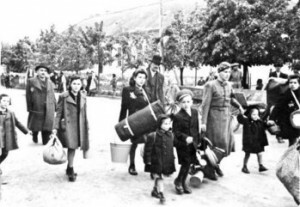 It was a little town in the backwoods of Slovakia with a Jewish atmosphere because it was between Galicia and Hungary and thus attracted Jews fleeing from those two areas. On May 24, 1942, the day before the Nazis began to deport Jews, the records indicate that there were some 2,240 Jews in Stropkov. American-born amateur genealogist Melody Amsel, now living in Israel, whose family lived in Stropkov, researched her family’s history. Some of Amsel’s family immigrated to America in the early 1930s, but most of her relatives perished in the Holocaust. However, what began as a yizkor (remembrance) book for Amsel’s family went far beyond. Amsel’s research led to her publishing the book Between Galicia and Hungary: The Jews of Stropkov, about her family and the Jews of the Stropkov community, from before World War Two to the 162 known survivors after the war. In compiling the book, written in English and Hebrew, Amsel was assisted by Toronto’s Maurice Kulik, whose family lived in Stropkov for several generations. Kulik himself was born in Stropkov and lost many of his family members in the Shoah. He became acquainted with Amsel while searching for information on Stropkov on the Jewish genealogy website in 1998. Amsel and Kulik decided to collaborate on research, and after more than 3,000 e-mails went back and forth between them and interviews with survivors were conducted, Kulik helped Amsel publish Between Galicia and Hungary and distribute it to the survivors who were interviewed and to selected libraries throughout the world. 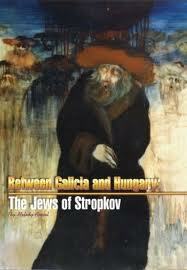 The Jews of Stropkov and of neighbouring communities prior to the war fill 64 pages of the 352-page book. The identified survivors are listed among them in boldface type. There are numerous interviews in Between Galicia and Hungary, and the book includes more than 100 photographs of the Jews of Stropkov, some taken by a Christian photographer during the deportations. The book’s launch took place in Bar Ilan, Israel, and was attended by the current chief rabbi of Stropkov, the Stropkov community now living in Israel and family members, and members of the famous Halberstram rabbinic hierarchy of Stropkov. In an interview with this reporter, Kulik recalled his family’s escape from Stropkov when he was a small child. “My sister and I were carried through the forest by Gypsies,” he said. The historian Sir Martin Gilbert, Sir Winston Churchill’s official biographer, told Amsel, “I must say I am very impressed by what you have done and hope that the book will find its way to every Holocaust library. You are really to be congratulated for a very fine achievement.” ? This article first appeared in the Canadian Jewish News and appears here courtesy of the author. © 2006 by Cynthia Gasner. The book was published by Avotaynu and may be ordered by clicking here.